We would like to share with you what we are working now, so you could have an understanding of what is going on inside the team and what goals are now set before us. The project is constantly evolving and growing richer with content, so, in preparation for Closed Beta, it was decided to dedicate utmost attention to the project optimization issue. The key problems have been identified and work is underway to improve and optimize animation systems, equipment, internal system modules. In other words, we optimize the internal parts of the game, rather than graphics, because the graphics is not the main contributor to the load. Another important step worthy of being mentioned is the transition to a newer version of the engine, which, apart from the new issues, also opens a lot of opportunities for further, deeper, optimization. 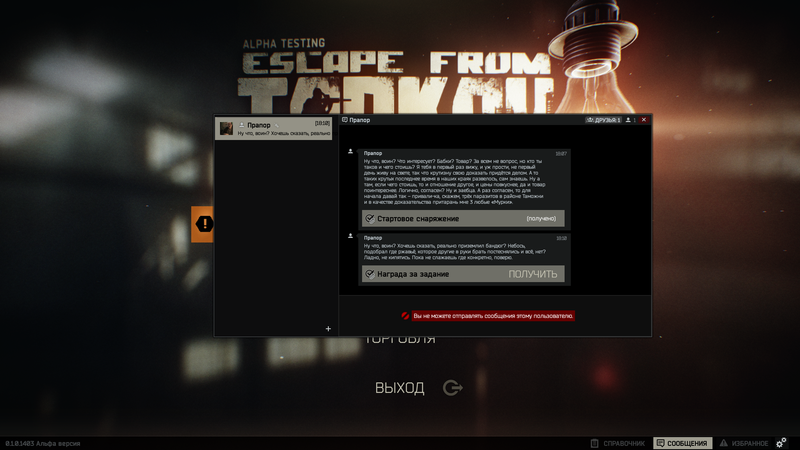 The long-anticipated tasks are coming to Escape from Tarkov pretty soon, for testing with subsequent expansion and development. 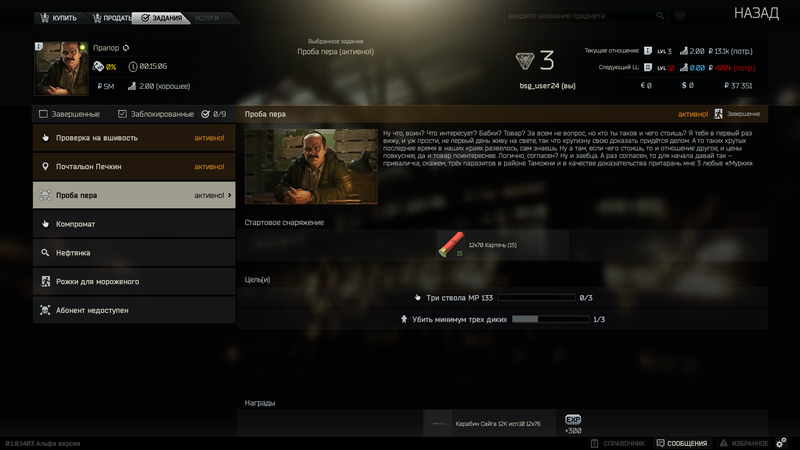 We are now implementing trader tasks/quests for making money, getting rare awards and resources. 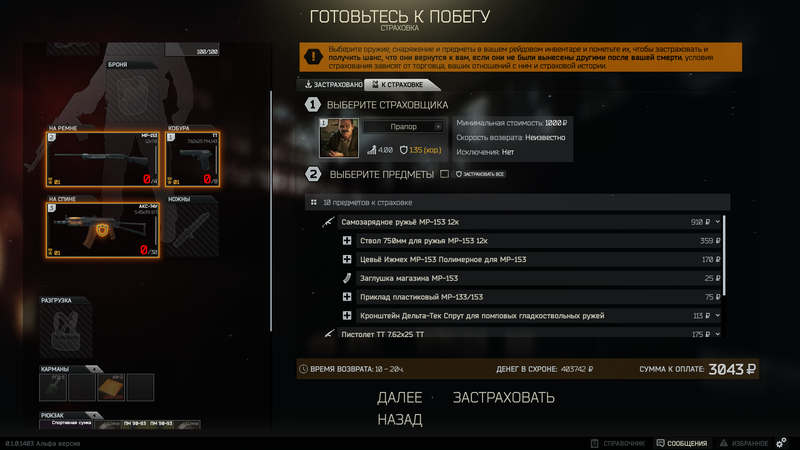 The quests themselves will vary from target neutralization, passing raids and searching and retrieving items to installation of beacons, gaining access to sealed areas, and finding special objects linked to the EFT story. Also, part of the quests will be dedicated to character leveling, trade, etc. This innovation will definitely be successful with those who go to the raids completely equipped and are afraid of losing the hard-earned loot. 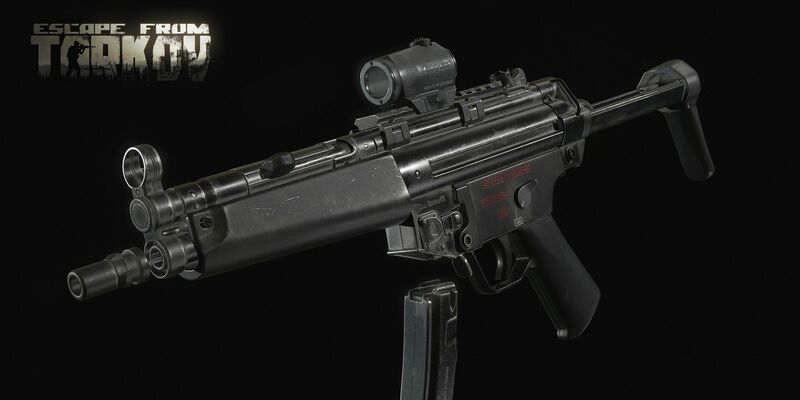 For a small amount of money it is possible to insure the weapons and equipment, increasing the chances of retaining it. However, only a chance, because insurance only returns items that nobody has taken from the location. 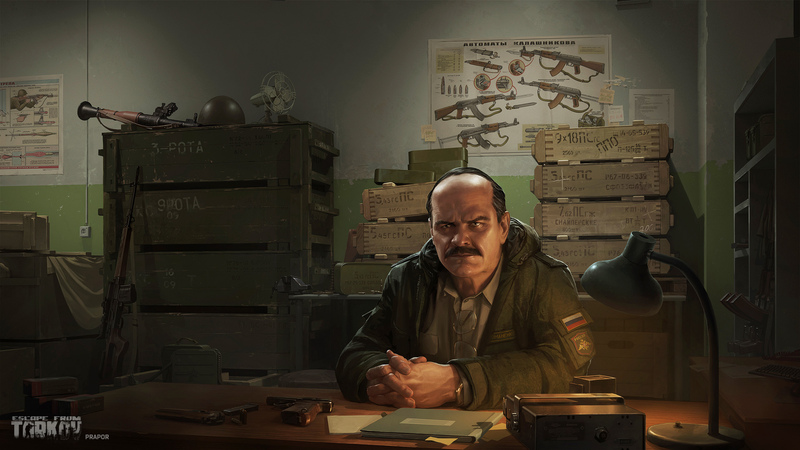 The next update will feature new barter loot, medicine and its rebalancing, new useful items, new points to loot at the current locations, quest loot and rebalancing of the economy. 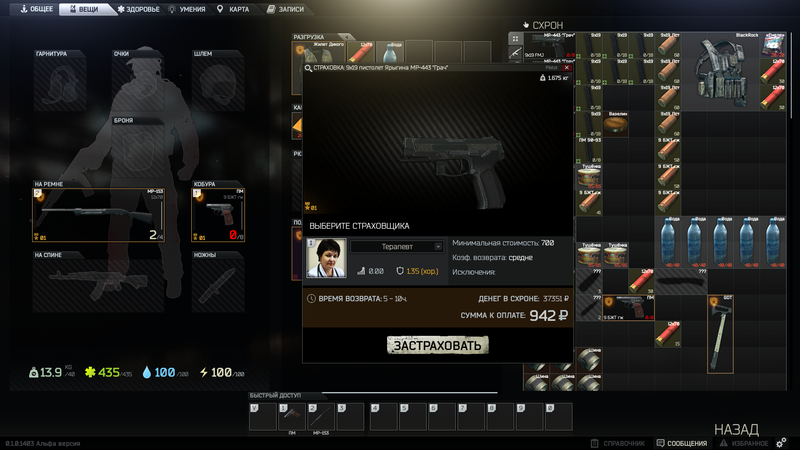 Economy rebalancing will affect whatever appears on the locations and the contents of the dealers’ stores. It will be setting the tendency for players to use the barter items in trade more often. Among the items currently in development it’s worth bringing to your attention the weapon and armor repair kits, melee weapons sharpening tools, new chest rigs, as well as 2x1-sized map case which can hold 4x4 cells of maps, quest items and keys. 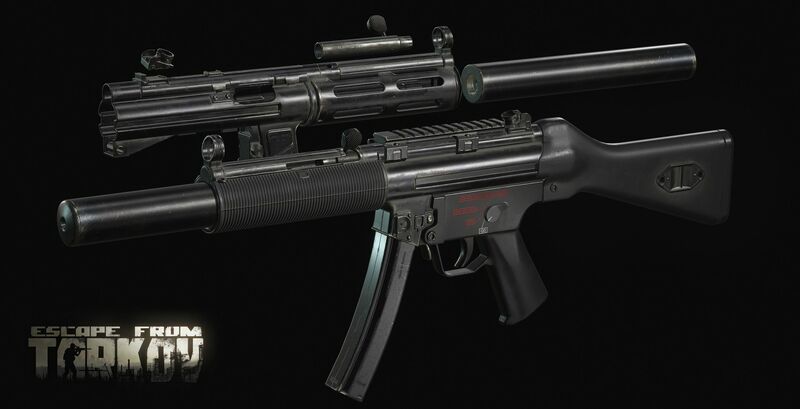 Before long, we plan to add new weapon customizations, magazines, and the MP5 submachinegun. As you may already know, the Shoreline location is now in development. It houses several different points worth visiting - hydroelectric power plant, weather station, health resort, village and various other objects scattered across the location. The location is projected to be twice as large as the Woods, but perhaps, not on release - in this case it will be smaller and expanded later. We also implementing the General chat channels where you can communicate with everyone who's online in the game. Players will be able to share useful information and assemble for the raids. A lot of them already fixed, and getting fixed every moment. Our goal is to make the game without bugs and freezes. 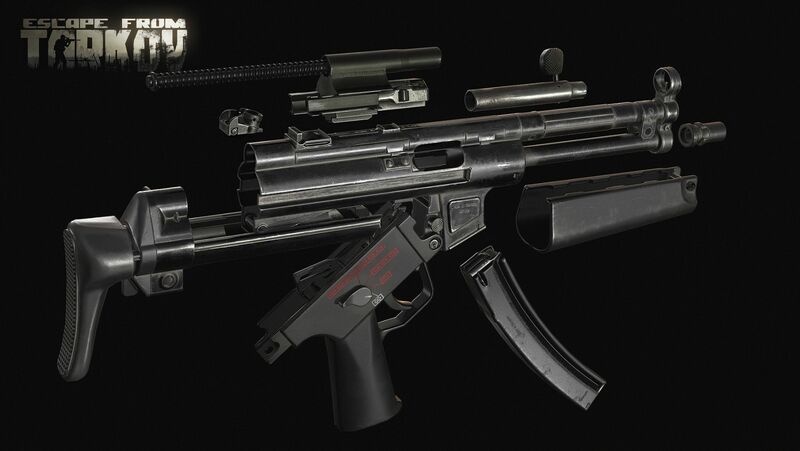 All this and much more is now a priority to start the Closed Beta. Stay tuned!